I have had the fun experience over the last couple of months of creating materials to help people get the most out of Facebook for their business or organisation. 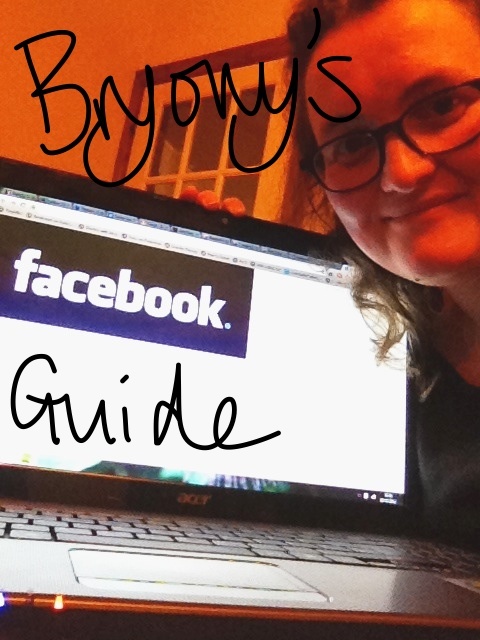 I decided to create this quick and simple guide to Facebook based on what I’ve learnt so far. Many people I have met have created a personal profile (that has friends) instead of a page (that has fans) for their business or organisation. Some have done this and then also created a page, using the business personal profile to manage it. This isn’t technically allowed on Facebook and actually isn’t the best way to set up a page for your organisation anyway – pages have more features such as the ability to run competitions, run a shop etc. To create a page in Facebook you need a personal Facebook account. You log in with this account and then create a page. No one but you can see who manages your pages. So your login is simply the ‘key’ you need to get in to open and run your Facebook page – the two things remain very much separate. So there is no need to create a personal Facebook account for your business. See your Facebook page as your office and your Facebook account as simply your key to opening your office. But I’ve created a personal account for my business and have built up a following! What’s this new Timeline thing and what are the benefits of it for my Facebook page? Facebook timeline for personal profiles was launched under much controversy last October. Finally they have rolled out the same look for pages on Facebook so if you have a page for your business, organisation, church, charity or for you as an individual public figure you can now enable this new look. If you get stuck or confused with any of these new features, do feel free to email me and I will try and help. Remember, whenever software changes are introduced there are a lot of glitches, chances are, if something’s not doing what it should it’s probably the software and not you! If you find something’s not working, leave it for a few hours and come back to it rather than getting yourself all worked up! Previous The church is the people not the building – but you knew that, right? Thanks Bryony. I’ve added this to a Delicious stack set up for Social Media Surgery managers (http://delicious.com/stacks/view/SxvHcF) as I think it’s really useful. Thanks Lorna! It’s amazing how poor Facebook are at explaining these things! You can’t do this within Facebook unfortunately but you could use something like Hootsuite.com or Tweetdeck.com and link both your personal Facebook profile and your organisation page to it and then make the same update to both? (You basically create the update and then choose whether it goes to Twitter, a Facebook page, your personal FB profile, LinkedIn etc.) That might be the easiest thing for you. The other thing you could do is link your twitter to your Facebook page so that your personal tweets end up as your organisation on your page. You can manage whether you always appear as your page or sometimes as yourself on your Facebook page by going to ‘Admin Panel’, ‘Manage’,’edit page’ and then ‘your settings’ and ticking the box at the top. Hope this makes sense! Let me know if not.